You’ve probably heard news stories and other talk about CRISPR. If you’re not a scientist—well, even if you are—it can seem a bit complex. Here’s a brief recap of what it’s all about. In 1987, scientists noticed weird, repeating sequences of DNA in bacteria. In 2002, the abbreviation CRISPR was coined to describe the genetic oddity. By 2006, it was clear that bacteria use CRISPR to defend themselves against viruses. 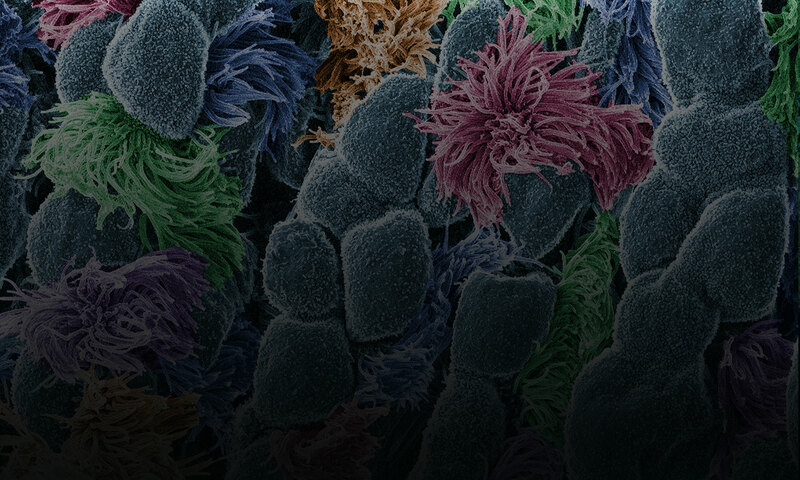 By 2012, scientists realized that they could modify the bacterial strategy to create a gene-editing tool. Since then, CRISPR has been used in countless laboratory studies to understand basic biology and to study whether it’s possible to correct faulty genes that cause disease. Here’s an illustration of how the technique works. Cell biologists would love to shrink themselves down and actually see, touch and hear the inner workings of cells. Because that’s impossible, they have developed an ever-growing collection of microscopes to study cellular innards from the outside. Using these powerful tools, researchers can exhaustively inventory the molecular bits and pieces that make up cells, eavesdrop on cellular communication and spy on cells as they adapt to changing environments. 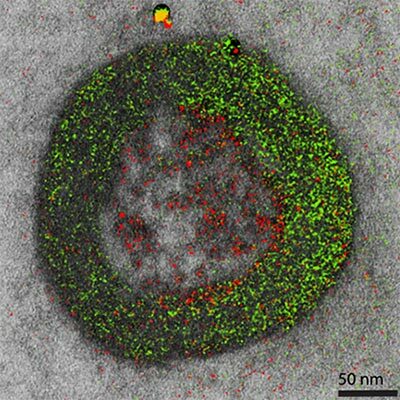 In recent years, scientists have developed new cellular imaging techniques that allow them to visualize samples in ways and at levels of detail never before possible. Many of these techniques build upon the power of electron microscopy (EM) to see ever smaller details. Unlike traditional light microscopy, EM uses electrons, not light, to create an image. To do so, EM accelerates electrons in a vacuum, shoots them out of an electron gun and focuses them with doughnut-shaped magnets onto a sample. When electrons bombard the sample, some pass though without being absorbed while others are scattered. The transmitted electrons land on a detector and produce an image, just as light strikes a detector (or film) in a camera to create a photograph. This image, showing a single protein molecule, is a montage. It was created to demonstrate how dramatically cryo-EM has improved in recent years. In the past, cryo-EM was only able to obtain a blobby approximation of a molecule’s shape, like that shown on the far left. Now, the technique yields exquisitely detailed images in which individual atoms are nearly visible (far right). Color is artificially applied. Credit: Veronica Falconieri, Subramaniam Lab, National Cancer Institute. Transmission electron microscopes can magnify objects more than 10 million times, enabling scientists to see the outline and some details of cells, viruses and even some large molecules. 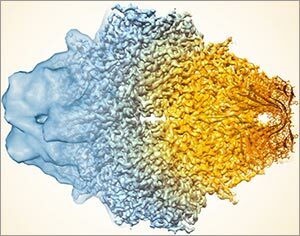 A relatively new form of transmission electron microscopy called cryo-EM enables scientists to view specimens in their natural or near-natural state without the need for dyes or stains. 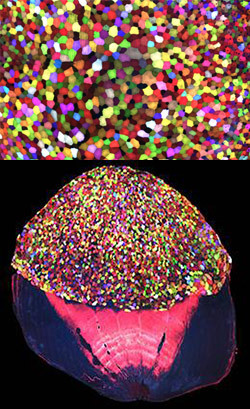 More than 70 Skinbow colors distinguish hundreds of live cells from a tiny bit (0.0003348 square inches) of skin on the tail fin of an adult zebrafish. The bottom image shows the cells on the outer surface of a scale. Credit: Chen-Hui Chen, Duke University. Zebrafish, blue-and-white-striped fish that are about 1.5 inches long, can regrow injured or lost fins. This feature makes the small fish a useful model organism for scientists who study tissue regeneration. To better understand how zebrafish skin recovers after a scrape or amputation, researchers led by Kenneth Poss of Duke University tracked thousands of skin cells in real time. They found that lifespans of individual skin cells on the surface were 8 to 9 days on average and that the entire skin surface turned over in 20 days. The scientists used an imaging technique they developed called “Skinbow,” which essentially shows the fish’s outer layer of skin cells in a spectrum of colors when viewed under a microscope. Skinbow is based on a technique created to study nerve cells in mice, another model organism. The research team’s color-coded experiments revealed several unexpected cellular responses during tissue repair and replacement. 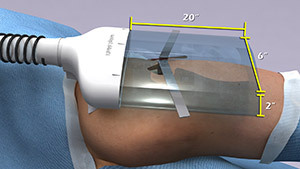 The scientists plan to incorporate additional imaging techniques to generate an even more detailed picture of the tissue regeneration process. This work was funded in part by NIH under grant R01GM074057. After mating about 55,000 pairs of fruit flies and sifting through 333,000 daughter flies, a research team found six sons that each had mutations in the same gene that helped make two fruit fly species unique from each other. Credit: Jim Woolace, Fred Hutch News Service. Nitin Phadnis and Harmit Malik set out to conduct an experiment that could solve a century-old evolutionary puzzle: How did two related fruit fly species arise from one? Years after they began their quest, they finally have an answer. The existence of a gene that helps make each of these fruit fly species unique and separate from each other had been guessed at since 1940, following experiments decades earlier in which geneticists first noticed that the two types of flies, when mated, had only daughters—no sons. The CRISPR gene-editing tool was recognized today by Science magazine as its “breakthrough of the year.” We support a number of researchers working in this exciting area and have featured it on this blog. To learn more about this exceptionally promising new method, see below for our illustrated explanation of the CRISPR system and its possible applications. 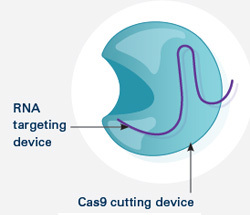 The CRISPR system has two components joined together: a finely tuned targeting device (a small strand of RNA programmed to look for a specific DNA sequence) and a strong cutting device (an enzyme called Cas9 that can cut through a double strand of DNA). 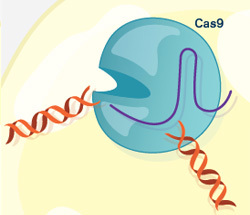 Once inside a cell, the CRISPR system locates the DNA it is programmed to find. 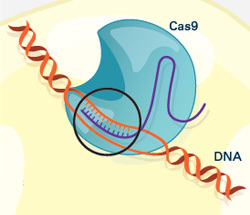 The CRISPR seeking device recognizes and binds to the target DNA (circled, black). 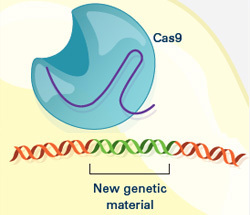 The Cas9 enzyme cuts both strands of the DNA. Researchers can insert into the cell new sections of DNA. 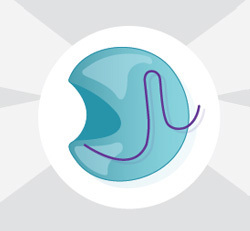 The cell automatically incorporates the new DNA into the gap when it repairs the broken DNA. Insert a new gene so the organism produces useful medicines. 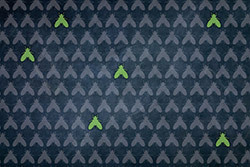 Create tailor-made organisms to study human diseases. Help produce replacements for damaged or diseased tissues and organs. We asked the heads of our scientific divisions to tell us about some of the big questions in fundamental biomedical science that researchers are investigating with NIGMS support. This article is the third in an occasional series that explores these questions and explains how pursuing the answers could advance understanding of important biological processes. Ubiquitin (Ub) molecules attached to proteins can form possibly hundreds of different shapes. Credit: NIGMS. Researchers are on a quest to crack a code made by ubiquitin, a small protein that plays a big role in coordinating cellular function. 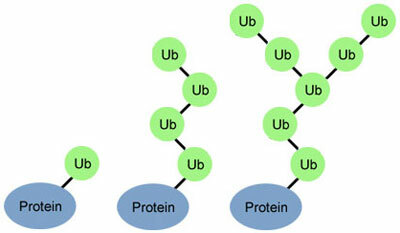 By attaching to other proteins, ubiquitin determines what those proteins should do next.